Believe it or not, the following photograph was taken from my mother's kitchen, looking out the sliding glass door into the backyard. This is a mule deer, so named for its prominent ears. Mule deer are native to the Western United States, and deer herds have existed on this mountain long before human beings built houses here. She (?) is probably a doe, because there are no horns present and she's close to adult size. The hole in her left ear was probably thanks to a hunter taking a pot shot at her; does are normally supposed to be left alone. 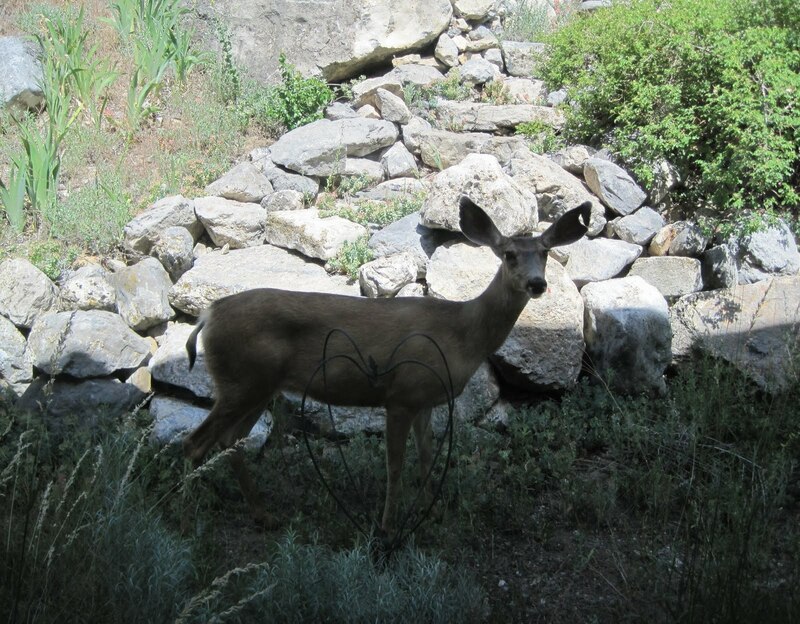 Mule deer regularly wander through my mother's yard, and have very little fear of us. Mom's even gone outside and slapped one on the rump to stop it from foraging in her vegetable garden.